Malaysia Food at Lot 10 Bukit Bintang, Kuala Lumpur. 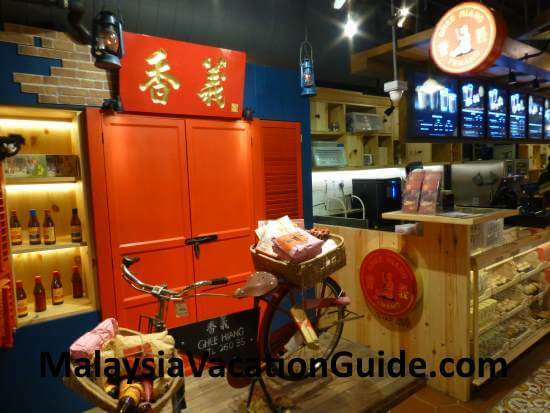 If you are in Bukit Bintang doing your shopping and would like to taste authentic Malaysia food in particular Chinese food, head for Lot 10 Hutong. Lot 10 is a shopping mall and is one of the oldest mall here. Isetan is located in this building as well. The Lot 10 Hutong is located at the lower ground floor of the mall and features over 25 authentic Chinese cuisines some of which have survived for 4 generations. Most of the original stalls started off as family-owned businesses and are passed down from one generation to another. They are still operating all over Malaysia and the idea of getting all of them together in one location was the idea of YTL Corp Bhd group managing director Tan Sri Francis Yeoh. YTL owns Lot 10 Shopping Mall. With this, you can now enjoy the authentic Malaysia cuisines in Kuala Lumpur without travelling all over Malaysia. Here are some of the varieties of Malaysia food that you can try. Most of the food is non-halal. Beef Noodles from Soong Kee Beef Noodle stall is another original Hakka style noodles that was established in 1945 at Jalan Tun Tan Siew Sin, Kuala Lumpur. Red wine mee suah, peanut soup and fish paste noodles can be ordered from Hock Kee Stall. Fried Hokkien Mee from Kim Lian Kee is tasty and was established in 1927 at Petaling Street, Kuala Lumpur. The noodles is fried with black sauce, prawns, vegetables and pork. Wanton Mee and Pork Rib Noodle from Ho Weng Kee is another good stall to try. 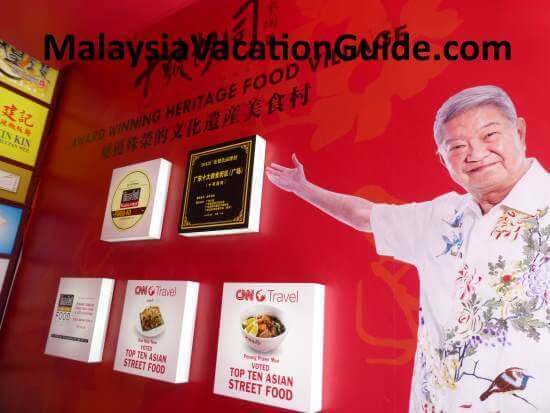 It was established in 1935 at Petaling Street, Kuala Lumpur with the recipe originated from China. Barbeque pork and wanton are served together with the dried noodles. Porridge from Swatow Teochew serves authentic Teochew porridge. It was established in 1967. The other porridge stall you can try is from Hon Kee which serves Famous Cantonese style porridge. It was established in the year 1949. Chicken Rice from Hainan Chicken Rice is delicious and was established in 1976. Popiah from Campbell Mini Popiah is a side dish that you can order. This Teochew style spring roll was established in 1970 at Lorong Tiong Nam, Kuala Lumpur. 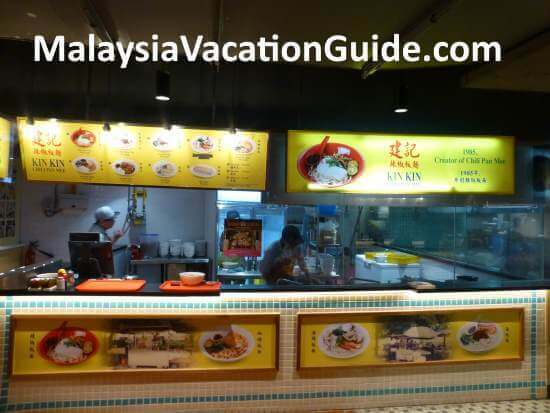 You will have to make a few visits to this food court if you want to try most of the cuisines here. Duck, Tofu, Dim Sum, double-boiled soup, Thai food and dessert are other interesting Chinese Malaysia food that you can try. 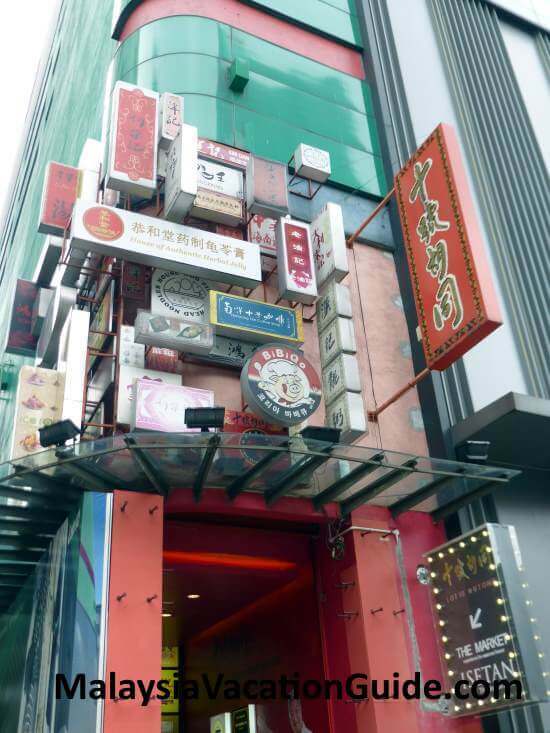 The entrance to Lot 10 Hutong which is located at LG Floor. Kin Kin Stall is famous for Chili Pan Mee. Red wine mee suah is a famous dish for the Hock Chew clan. Fish paste noodles from Hock Kee stall. Delicious and tasty peanut soup for dessert from Hock Kee stall. Buy some sesame seed oil and tau sar pneah from Ghee Hiang stall. This shop has its root in Penang. Lot 10 Hutong is in the Top 10 CNN Asian Street Food. 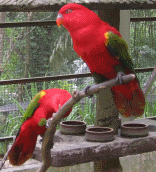 The best way to get here is by taking the Kuala Lumpur Monorail. 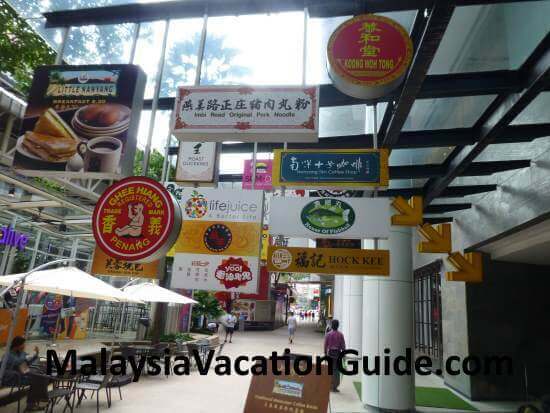 Go to the nearest KL Monorail station and alight at Bukit Bintang station. Take a walk to Lot 10 Shopping Centre and head for LG Floor. The stalls are opened daily from 10am to 10pm. The other alternative is to use the Free GoKL City Bus to come here. Use the Green Line, Blue Line and Purple Line.